If you need some calm and tranquility in your home, it’s high time to look at Asian techniques of relaxation and items that harmonize spaces. 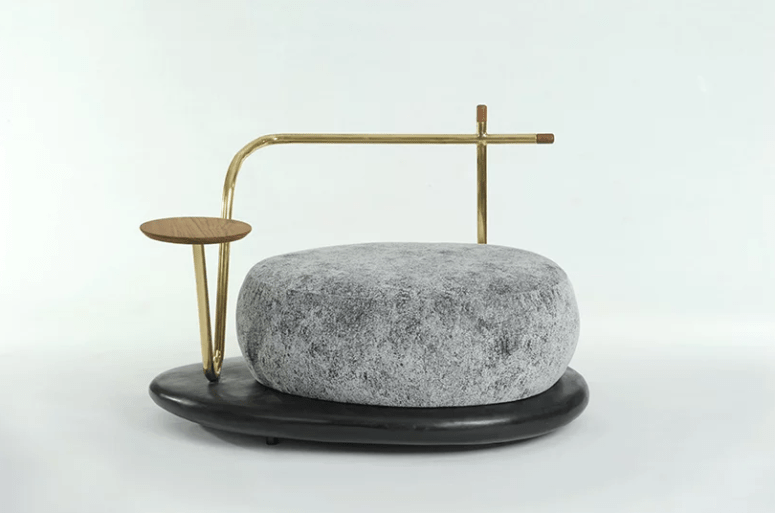 Designed by Apiwat Chitapanya, the Zen Stone furniture collection is inspired by Zen gardens where stones are considered as the soul of the garden. 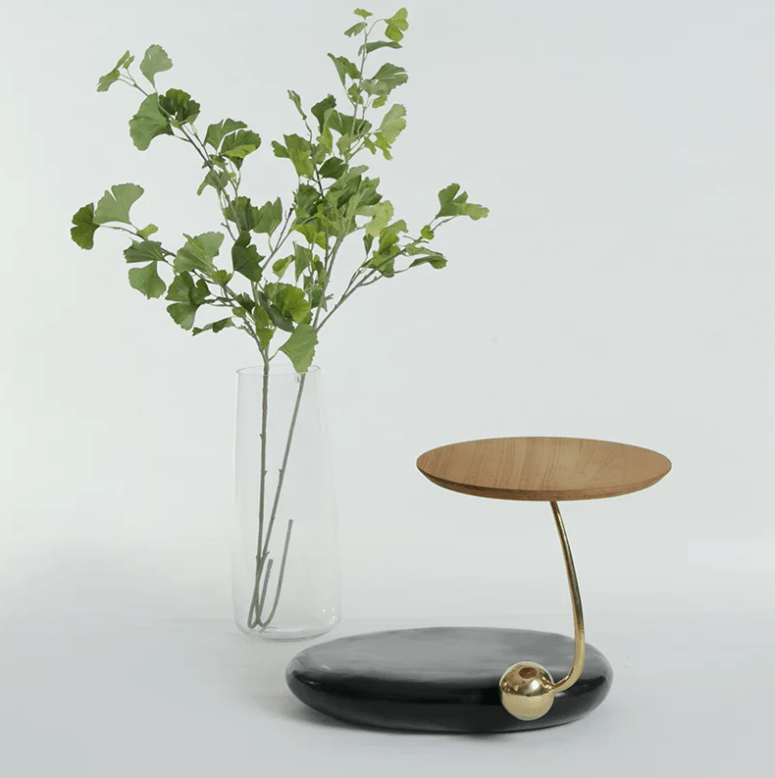 With horizontal and flat shapes to represent water and wind, Shintai stones have been selected for the design to show the balance of the blending between life and nature that creates harmony and relaxation. 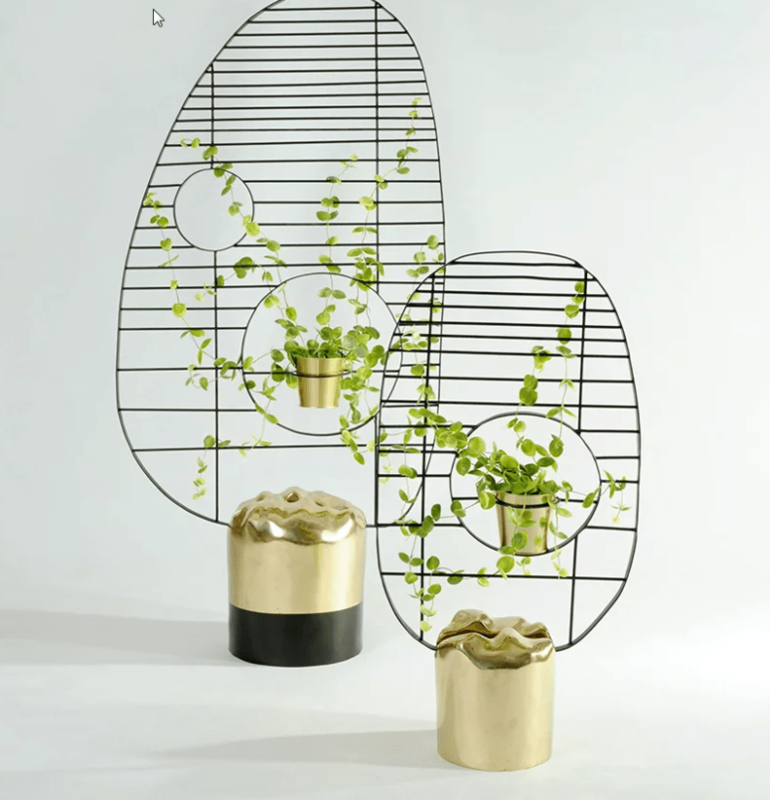 The collection consists of a sofa set and a screen made of brass using a lost-wax casting method. 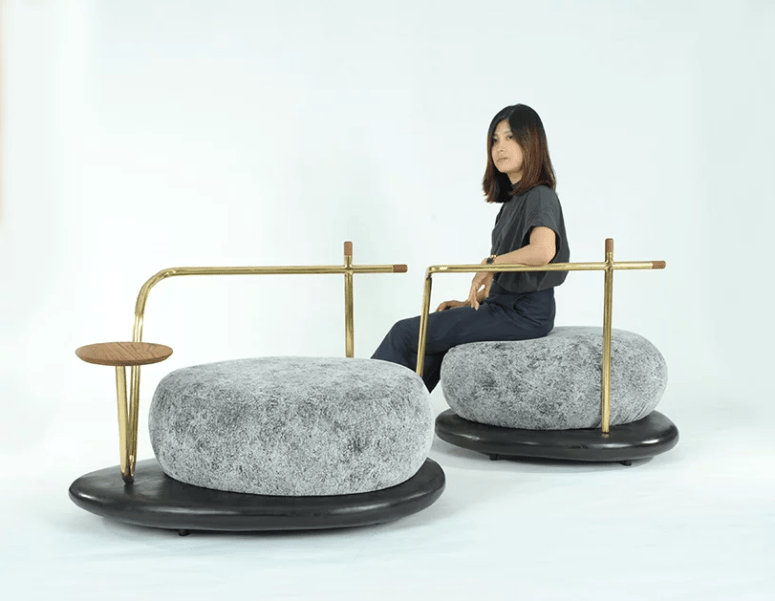 The sofa is created by utilizing three different sized stones, and composed of a side-table topped with round shaped teak and two armchairs. The set comprises two black stones in different sizes put next to each other and topped with stone shaped padding. 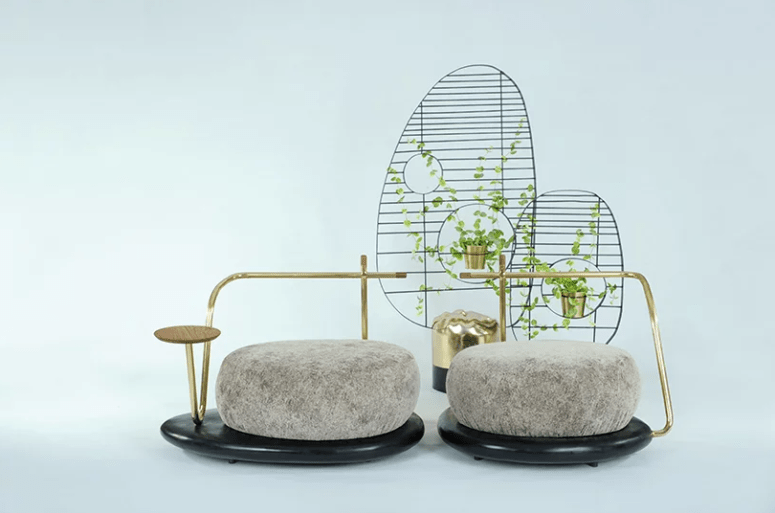 The gold backrest is designed with simple lines to enable it to be see-through and create harmony with the background environment. To facilitate daily usage, the sofa set comes with a round tray made of teak at the right seat. The screens are simple and stable in design to represent the relation between nature – the shape of the stone and movement of water, by using a horizontal pattern to create a feeling of peace and stillness.